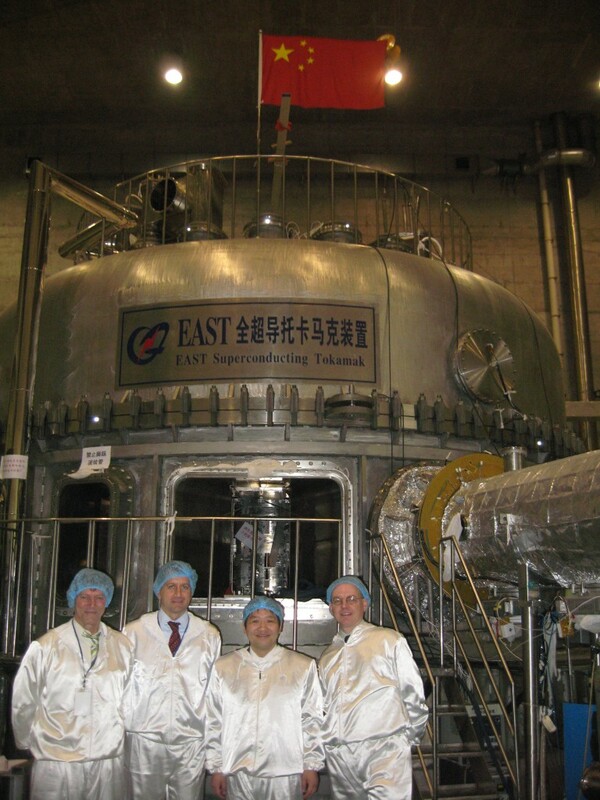 Members of the ITER Vacuum and Cryogenics Groups in front of EAST: Christian Mayaux, Luigi Serio and Robert Pearce next to Yuntao Song, Head of the EAST Design Division. 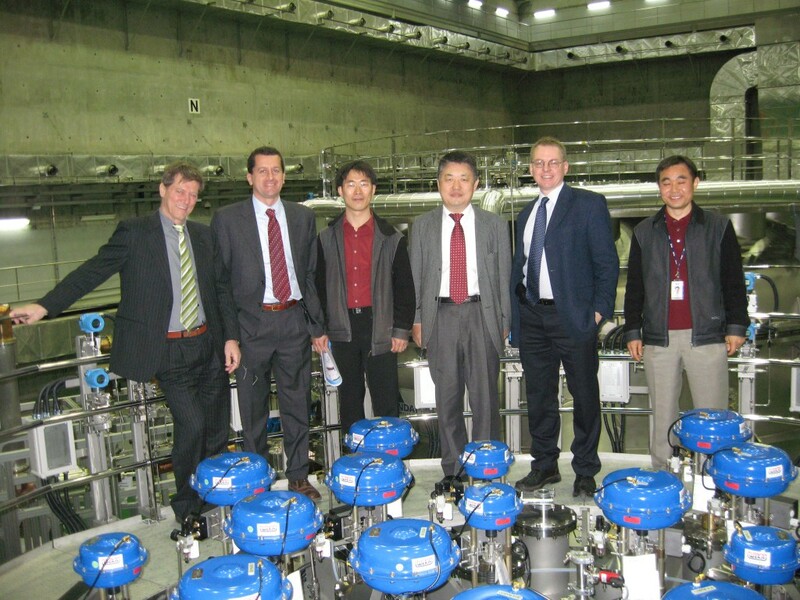 On top of the iceberg: The ITER delegation on top of KSTAR's Cold Valve Box. 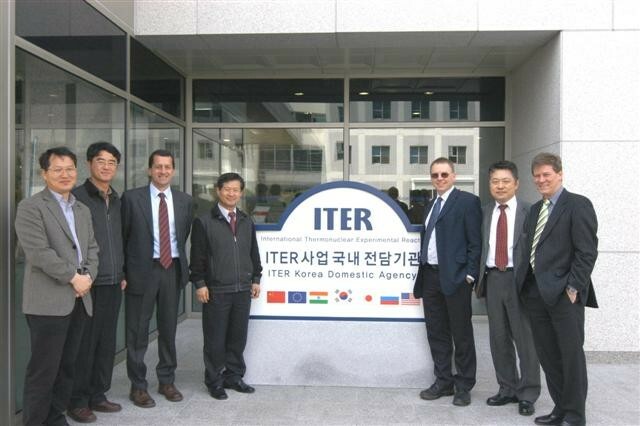 In front of the Korean Domestic Agency with the Deputy Director Ki-Jung Jung. The last week of March, the ITER Vacuum and Cryogenics Groups visited the two new "babies" of the international tokamak familiy, EAST in Hefei, China, and KSTAR in Daejeon, Korea. While EAST celebrated its first plasma in September 2006 and is currently installing an actively-cooled first wall, KSTAR is in its commissioning phase and expects first plasma to happen in June this year. Although both machines are much smaller than ITER, they do have many similarities in regards to the ITER vacuum and cryogenic systems, Robert Pearce, Leader of the ITER Vacuum Group summarized the visits. "The overall impression of the design and installations and the people's competencies very very positive," he said.